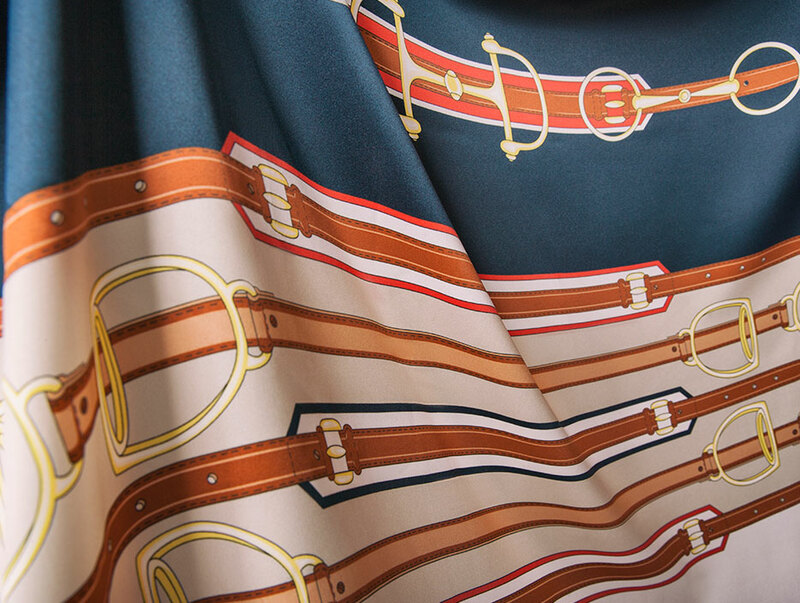 Fluid silk and vivid colors elevate a foulard featuring a belt-inspired print. 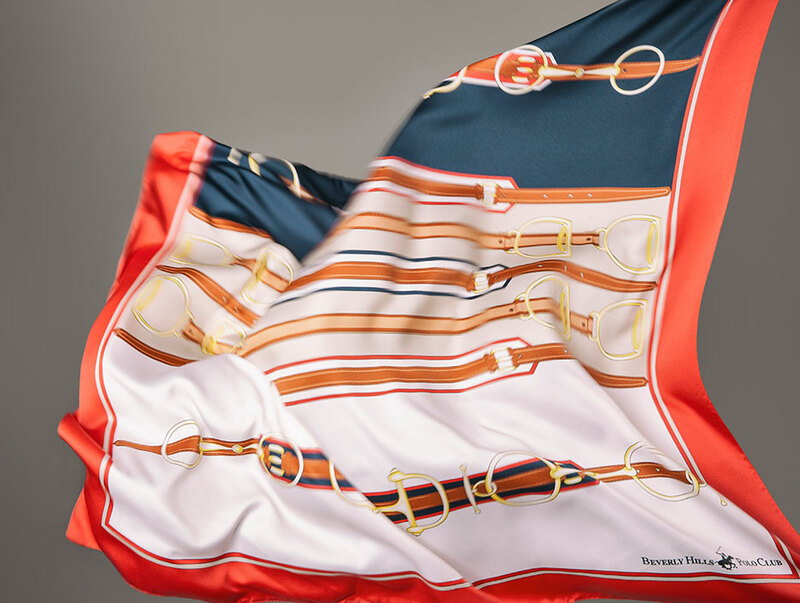 A colorful classic print enlivens a lightweight foulard crafted from luxurious silk, making it the perfect statement piece. 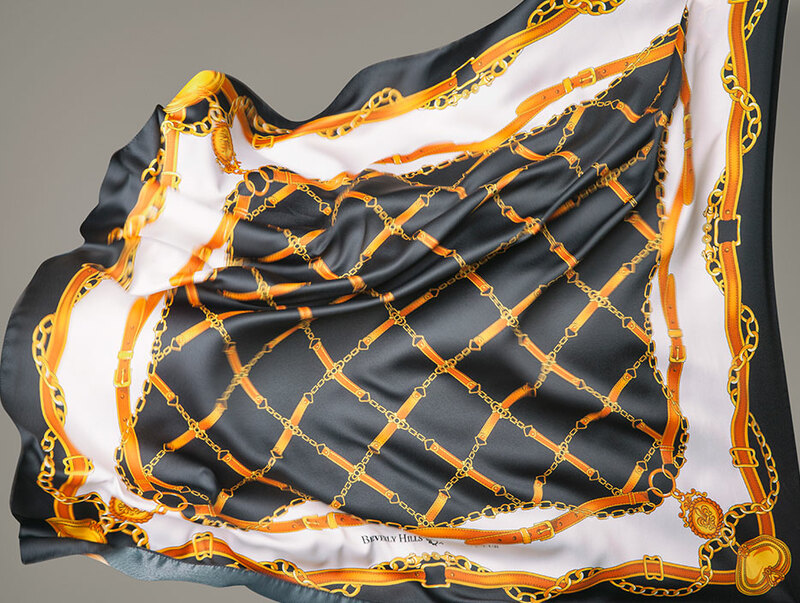 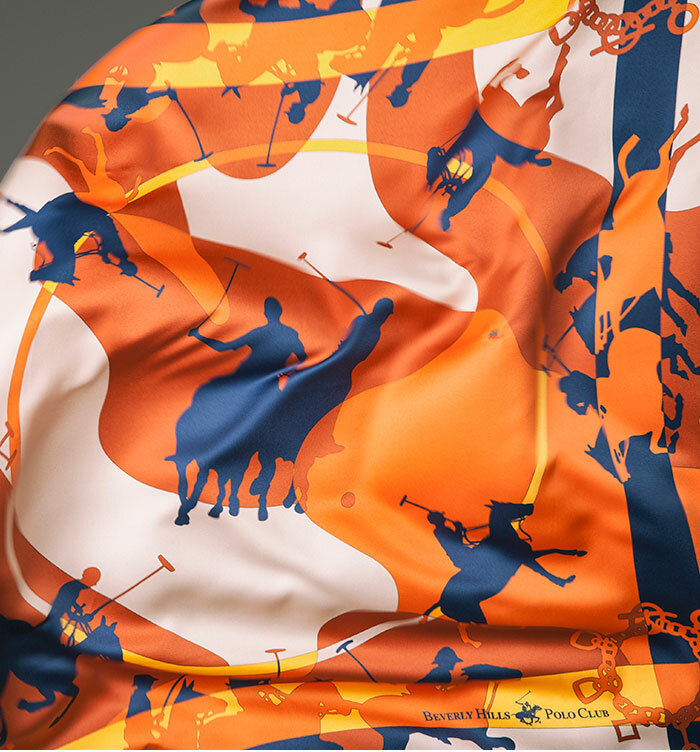 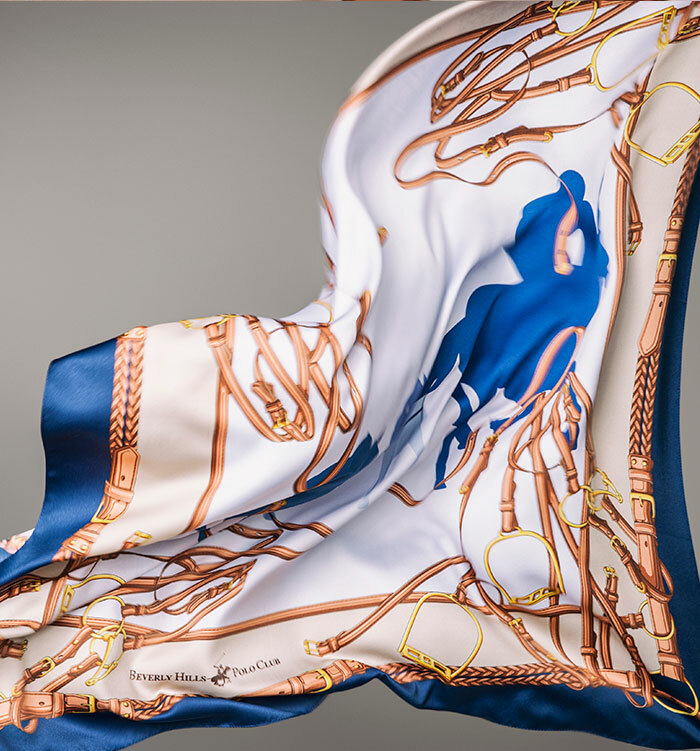 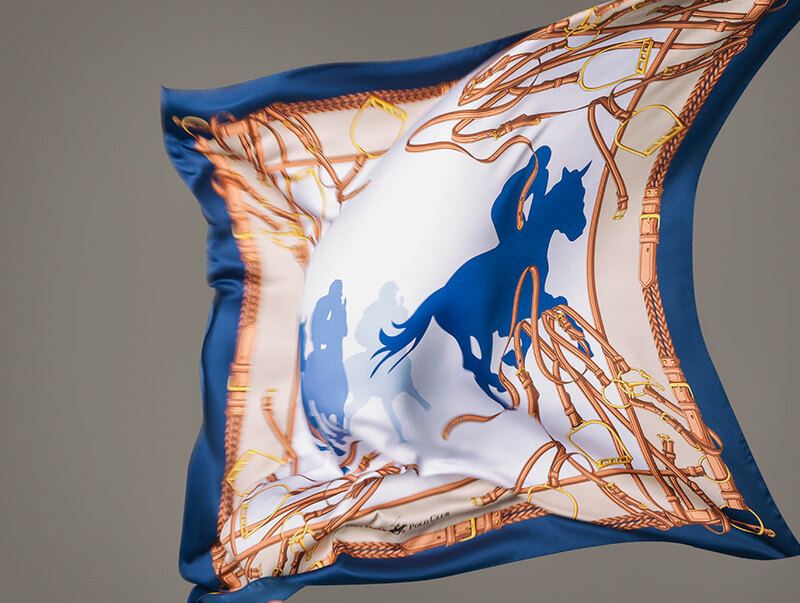 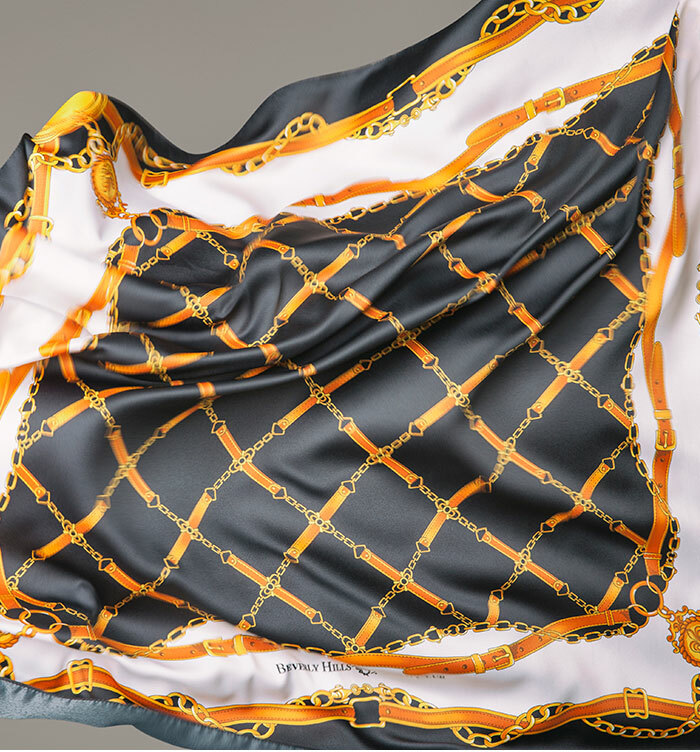 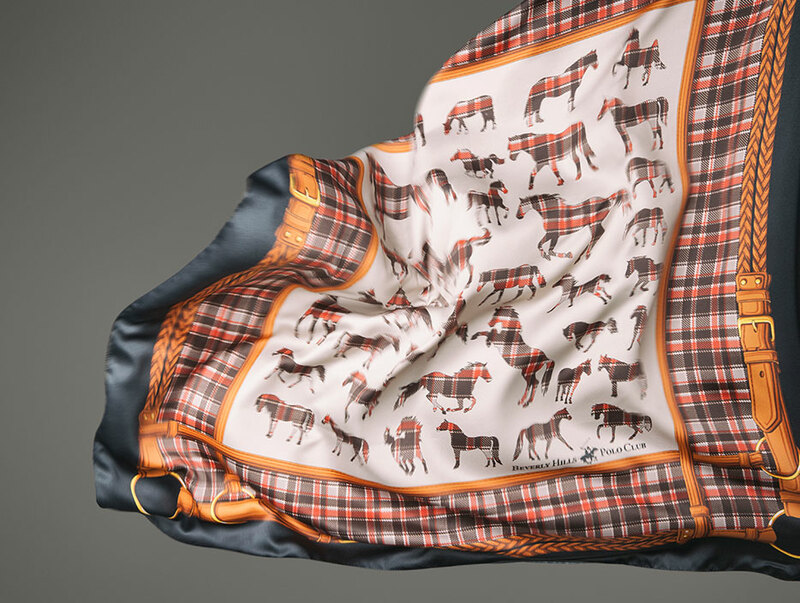 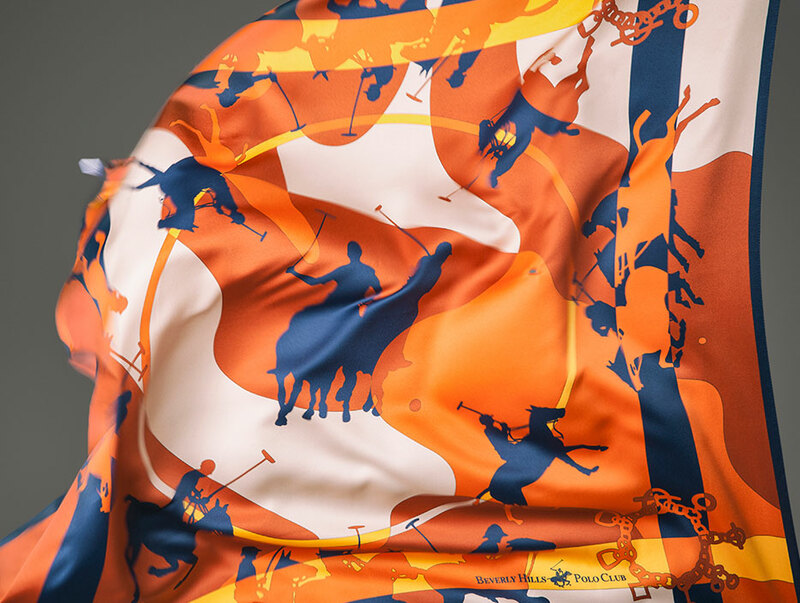 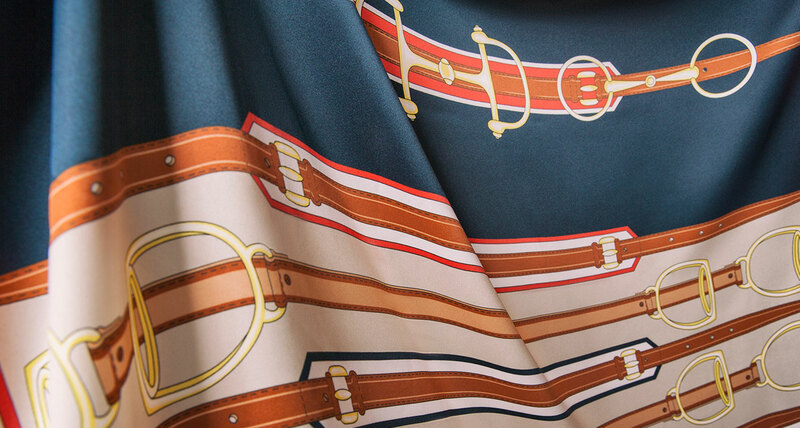 An artful equestrian graphic floats across a foulard cut from pure, fluid silk. 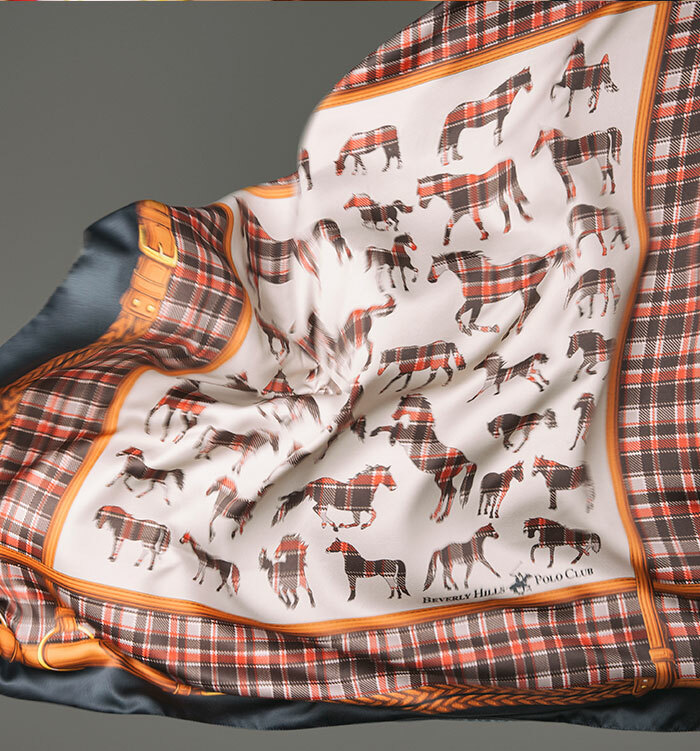 An Artful Horse And Croquet Player Will Surely Brighten An Everyday Look, While Echoing The Season’s Regal Equestrian Theme.